Expedited Thermal Analysis Services Are Available -	Contact Us Today! Ability to Analysis Material’s Properties Including Mass, Dimension, Mechanical Stiffness and Damping, Heat Difference, and More. What Is the Discovery Laser Flash System Used For? The Discovery Laser Flash System (DLF-1200) provides Westmoreland Mechanical Testing & Research the capability of testing for thermal diffusivity and speed of heat propagation through a given material. The DLF-1200 provides a high-performance laser flash analysis over a wide range of test temperatures. With high precision, quick response, non-contact measurement of the sample surfaces, Westmoreland Mechanical Testing & Research determines your material's ability to transfer and store heat through the laser pulse and ensuring your materials are fit for its intended application. What Is Dynamic Mechanical Analysis Used For? The Dynamic Mechanical Analysis machine measures the mechanical and viscoelastic properties of materials such as thermoplastics, thermosets, elastomers, ceramics, and metals. The DMA provides Westmoreland Mechanical Testing & Research with the ability to perform glass transition tests on larger materials and increases the number of variables for those tests. 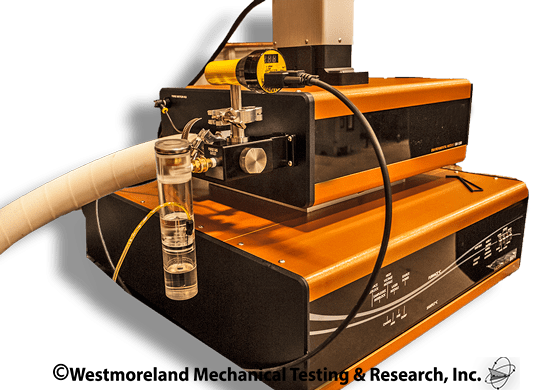 The DMA machine has a fluctuating temperature range as well as humidity control and fluid bath options for additional testing information for your materials. The DMA is similar to a mechanical test frame because it can also perform bend, shears, and tension tests. What's Thermomechanical Analysis Used For? 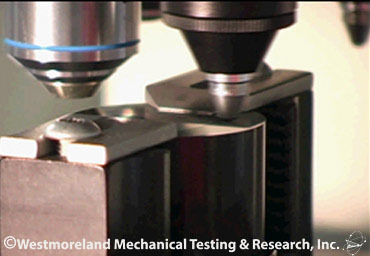 Westmoreland Mechanical Testing & Research provides Thermomechanical Analysis which studies the properties of materials, such as dimension or mechanical properties, as they change with temperature. 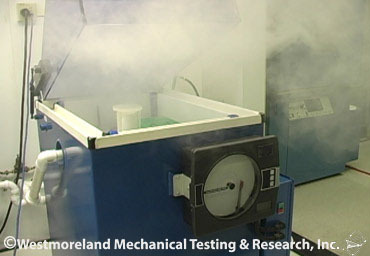 The process of thermomechanometry ensues a stress is applied to a material and the resulting strain is measured while the material is subjected to a controlled temperature program, mimicking conditions that would affect a material in applications in aerospace, automotive, composites, medical, and oil and gas sectors. What Is Differential Scanning Calorimetry Used For? Another capability of our thermal analysis is the Differential Scanning Calorimetry (DSC). The DSC measures enthalpy internal energy changes in samples due to variations in their physical and chemical properties as a function of temperature or time, determining biochemistry and heat flow of materials. This instrument is built to measure energy directly and allows precise measurements of heat capacity, enabling measurements of characteristic properties of a material. It can provide analysis of chemical reactions in materials such as fusion and crystallization events, glass transition temperatures and oxidation, ensuring safety screening, stability, and integrity of chemical composition. What Is Thermogravimetry Used For? Thermogravimetry, through the Thermal Gravimetric Analysis (TGA) device measures the change in weight of a sample as it is heated, cooled, or held at a constant temperature. It is primarily used to characterize material composition. Applications include plastics, elastomers and thermosets, mineral compounds, and ceramics. The TGA can provide information about chemical phenomena including chemisorptions, desolvation and dehydration, decomposition, and solid-gas reactions such as oxidation or reduction. 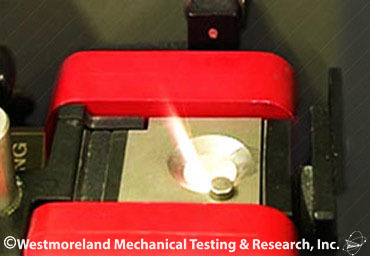 Westmoreland Mechanical Testing & Research provides standardized and customized thermal analysis testing solutions, unique to your materials testing requirements. The following list is a sample of the standardized thermal analysis tests that WMT&R performs on composite materials. For a Complete List of Thermel Testing Services, Please Request A Quote or Call +44 (0)1295 261211. Need Thermel Testing? Fill out our secure online form and we’ll respond quickly.